Intestinal stem cells are among the most rapidly dividing cells in the body, busily creating new cells to replace the ones that are constantly being sloughed off. But unlike stem cells elsewhere in the body, those in the intestine are hidden away, and for good reason, it turns out. 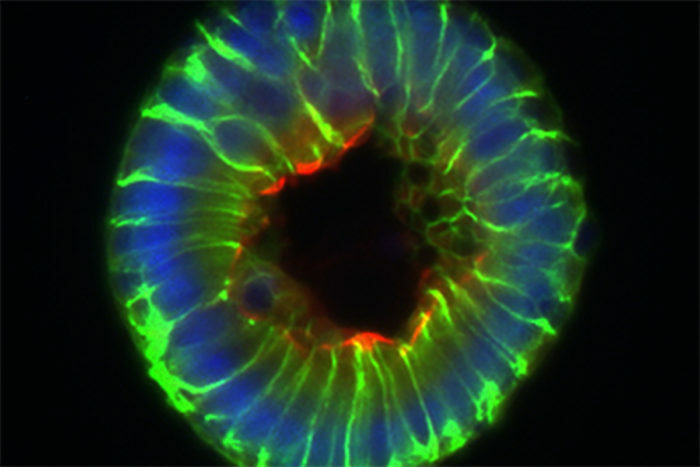 New research at Washington University School of Medicine in St. Louis indicates stem cells are located in “pockets” in the intestine to avoid contact with a prominent metabolite produced by beneficial microbes living in the gut. That metabolite – butyrate – restricts the proliferation of stem cells, potentially hampering the intestine from repairing itself after an injury or damage resulting from inflammatory bowel disease (IBD), such as Crohn’s and colitis. The study is published June 2 in the journal Cell. The researchers showed that stem cells are normally protected from butyrate by tiny pockets built into the lining of the intestine, called the crypts of Leiberkuhn. But when the intestine is damaged, butyrate can gain access to the stem cells and inhibit their proliferation. 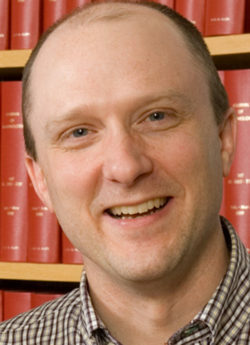 Thaddeus Stappenbeck, MD, PhD, and colleagues have shown that intestine likely evolved to include tiny “pockets” to hide stem cells from a metabolite of the gut microbiota that dampens the cells’ proliferation. Butyrate also has been evaluated in clinical trials since the 1990s as a treatment for inflammatory bowel disease but has not been conclusively proven to work, even though it is known to have anti-inflammatory properties. And the study’s findings suggest why: As a potent inhibitor of stem cell proliferation, butyrate prevents the intestine from replenishing its cells. Microbes that live in the gut process nutrients in our diets and synthesize vitamins. As part of carrying out those jobs, the microbes produce metabolites that influence human health and diseases, including inflammatory bowel diseases as well as obesity, asthma and heart disease. As part of the study, Stappenbeck and postdoctoral researchers Gerard Kaiko, PhD and Stacy Ryu, PhD, grew intestinal stem cells in the lab and screened 100 of the most abundant metabolites produced by mouse gut microbes for their ability to increase stem cell proliferation. 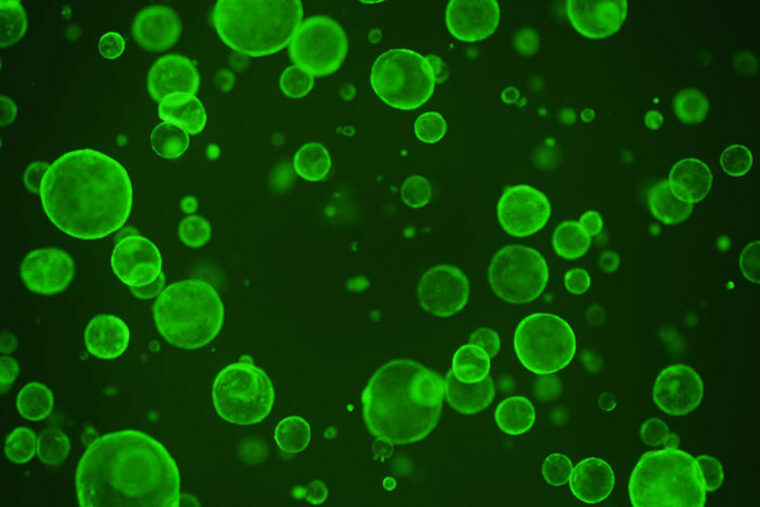 They found nothing that enhanced stem cell expansion, but they did find one metabolite – butyrate – that slowed it down. When they gave mice additional butyrate, though, there was no change in the proliferation of the intestinal stem cells, no matter how much butyrate the animals received. The researchers measured the levels of butyrate on the inner surface of the intestine, where the butyrate-producing bacteria are located, and down at the bottom of the crypts, where the stem cells live, and found much lower levels in the crypts. Furthermore, the mature cells on the surface of the intestine, far from being harmed by butyrate, consumed it as food, further preventing the stem cells from encountering the metabolite. The intestines of most vertebrates contain crypts but some do not. Young zebrafish, for example, do not have crypts, yet their intestinal stem cells behave just like those in higher organisms, rapidly dividing to replace damaged cells. In contrast to the mice, when the researchers exposed young zebrafish to butyrate, they saw a slowdown in the rate at which the fish’s gut stem cells proliferated. Since zebrafish don’t have gut microbes that produce butyrate, the fish don’t need a mechanism to protect their intestinal stem cells from the metabolite, the researchers reasoned. This work was supported by the National Institutes of Health (NIH), grant number DK071619; the Crohn’s & Colitis Foundation of America; and the Washington University Digestive Diseases Research Core Centers, grant number P30DK052574. Oltz EM, Stappenbeck TS. The colonic crypt protects stem cells from microbiota-derived metabolites. Cell. Online June 2, 2016.